In late December 2017, the Pennsylvania Department of Revenue issued a tax bulletin eliminating the ability of corporations to deduct the cost of capital investment until sale or disposal of an asset. This action created the least favorable treatment of investment in the nation. The Department’s determination is based on an interpretation of the interactions of existing state law with the new federal tax law’s provision of full and immediate expensing of short-lived capital assets. However, this interpretation is at odds with the one the Department took in 2011, when the federal government briefly adopted the same full expensing policy. Corporate income taxes are levied on net income, meaning that businesses are permitted to deduct most of their costs, including compensation and the cost of inventory, raw materials, and fuel. Generally, however, investments in machinery, equipment, land, and buildings must be deducted over time according to depreciation schedules. Pennsylvania’s treatment of capital investment has typically been less generous than federal law, but state lawmakers always intended a deduction to be available. Pending legislation (House Bill 2017) would reverse the effects of the 2017 tax bulletin. Failure to act would make the cost of investment in Pennsylvania uniquely high at precisely the time that other states are acting to claim their share of the additional domestic investment anticipated as a consequence of federal tax reform. Pennsylvania has been charting its own path on depreciation for some time, but in 2018, that alternative route went from detour to U-turn. The Commonwealth upended its tax treatment of business investment, adopting the most restrictive policy in the country not by law or even by regulation, but through the mere issuance of a tax bulletin. In every other state, the ability to deduct the cost of investment in calculating taxable income is a question of when, not if. In Pennsylvania, the full cost of investment is now subject to the state’s high 9.99 percent corporate income tax, without any option for recovering those costs until an asset is sold. This policy violates widely affirmed tax principles and cuts against the traditional framework of corporate income taxes, which are intended to fall on net income after accounting for costs of doing business. Pennsylvania’s treatment of investment has become increasingly hostile even as federal treatment has improved. Unless legislators reverse this recent executive action, the Commonwealth will find itself poorly positioned to take advantage of new domestic investment occasioned by federal tax reform, and increasingly uncompetitive in comparison to its peers. In broad terms, corporate income taxes are intended to fall on net, not gross, income. Pennsylvania makes this explicit in the name, the Corporate Net Income Tax (CNIT). The intent is to tax business profits (more accurately, revenue minus the costs of producing that revenue), not all receipts. To accomplish this, businesses are permitted to deduct most of their costs when calculating taxable income, including compensation and the cost of inventory, raw materials, and fuel. When a business invests in machinery, equipment, land, or buildings, however, the tax treatment of these costs is often less favorable. Rather than deducting the cost of these capital assets immediately, businesses are required to spread the deduction out over multiple years using systems of depreciation which amortize the cost over set asset lives. Methods for recovering the value of the investment in calculations of tax liability are termed “cost recovery,” with some methods producing more equitable results than others. When businesses are unable to expense capital investment immediately, the tax code is biased against investment. Various federal policies have sought to attenuate this disincentive. The Modified Accelerated Cost Recovery System (MACRS) frontloads the deductions somewhat, and a policy called bonus expensing—initially at 30 percent, later at 50 percent, and briefly at 100 percent—allowed a greater share of the deduction to be taken in the first year, with the remainder amortized over the rest of the depreciation schedule. Classes of assets are assigned different asset lives, with recovery periods for tangible property ranging from three to 20 years. As part of the federal tax overhaul adopted in late 2017, machinery and equipment purchases are now subject to a policy called full expensing (identical to 100 percent “bonus”), meaning that the full cost can be deducted in the first year. Pennsylvania, meanwhile, has gone in a decidedly different direction. Although Pennsylvania begins by incorporating MACRS, which forms the basis of the federal system of depreciation, it disallows other federal policies in ways that have introduced complexity and uncertainty and now place Pennsylvania on a uniquely uncompetitive footing. The new federal policy of full expensing dramatically improves the treatment of capital investment at the federal level, but the Pennsylvania Department of Revenue’s interpretation of an idiosyncratic state statute means that Pennsylvania’s response will be an extreme one, disallowing any deduction whatsoever until the asset is sold. To illustrate how Pennsylvania’s 3/7 formula functioned, imagine a simplified example of a seven-year straight-line depreciation schedule with a first-year 30 percent “bonus” expensing regime and no residual value after depreciation. At the federal level, the taxpayer would deduct 40 percent of the cost of the capital investment in the first year (the 30 percent bonus plus one-seventh of the remaining value of the asset), then an additional 10 percent of its cost each of the six years thereafter, until the entire cost has been deducted over the course of seven years. In Pennsylvania, the first year’s 30 percent bonus expensing would have been disallowed (added back into taxable income), but for each year, in addition to the normal amount of depreciation permitted, the taxpayer could deduct a further 3/7ths of the federal deduction. Pennsylvania’s depreciation schedule would have caught up with the federal schedule in the final year, and the entirety of the asset’s cost would be depreciated (see Table 1). When, however, the federal government adopted 50 percent bonus depreciation, meaning that 50 percent of an asset’s cost could be written down in the first year, Pennsylvania did not update its 3/7ths formulation. The result was that the totals no longer matched; Pennsylvania not only lagged federal depreciation schedules, but only allowed 71.43 percent of the total cost of an asset to be depreciated. While straight-line depreciation does not capture the reality of cost recovery for many companies, the table above helps illustrate the concept of Pennsylvania’s 3/7 formula, and the percentage of the total asset cost that can be recovered in Pennsylvania (71.43 percent under 50 percent bonus) is the same whether straight-line or declining balance depreciation is used. The following scenario accounts for a 10-year cost recovery schedule using the half-year convention (meaning that the property was placed into service halfway through the first year) and which uses what is called 200 percent declining balance depreciation under MACRS, coupled with a 50 percent first-year “bonus” as was in effect until the end of 2017. Note that here too, Pennsylvania’s cost recovery regime only allowed 71.43 percent of the total cost of the investment to be written down. Now that the federal government provides for full and immediate expensing of purchases of machinery and equipment, the Pennsylvania Department of Revenue has taken the counterintuitive position that the 3/7 formula now serves to eliminate all cost recovery whatsoever until a company sells or otherwise disposes of the property. The Department reached this position on the grounds that, if the entire amount of the deduction is essentially “bonus,” then the remaining amount to be claimed, at the standard amount plus 3/7ths, is $0. In 2011, the last time the federal government (briefly) adopted a policy of full expensing, the Pennsylvania Department of Revenue concluded that the requirement that an additional deduction be allowed until the total amount matches the amount claimed at the federal level meant that the code permitted recovery of any disallowed bonus depreciation claimed federally by the time the property had been fully depreciated for tax purposes. If the property was fully depreciated in the first year, then Pennsylvania had to follow. If, as in other years, depreciation was accelerated in the first year, Pennsylvania was not obligated to mirror that so long as the asset was fully depreciated at both the state and federal levels simultaneously. In late 2017, the Department took the opposite view, focusing on the mechanism and concluding that the general requirement only applies after the asset has been sold or otherwise disposed. There is no doubt that the statute’s wording failed to anticipate full expensing, but there can also be little doubt that lawmakers did not intend to eliminate the deduction altogether. Every other state in the nation allows, at minimum, straight-line depreciation. Many conform to bonus depreciation and will now follow the federal full expensing regime. At the opposite end of the spectrum, California does not conform to MACRS, but Pennsylvania now goes much farther, prohibiting any deduction at all until the asset is sold. This new policy provides the most unfavorable treatment of capital investment found anywhere in the United States, and dramatically increases the cost of doing business in Pennsylvania. do nothing and accept a new status quo where no investment costs can be recovered until disposal of the asset (least favorable option). Legislation introduced by Rep. Francis Ryan (R-Lebanon County) would reverse the Department of Revenue “Bulletin” and allow deductions according to MACRS depreciation schedules. It disallows bonus depreciation and full expensing. The bill would repeal the 3/7 rule going forward and use MACRS as if the 100 percent bonus depreciation (full expensing) available under Section 168(k) did not exist. This policy would represent an improvement over the previous system, as the 3/7 formula has not been calibrated to bonus depreciation for years. Conversely, however, it represents a retreat from current law under the interpretation which prevailed the last time the federal government offered 100 percent expensing, when Pennsylvania officials interpreted the statute to require the adoption of an identical policy at the state level. Alternatively, policymakers could choose to adopt some level of bonus expensing short of the federal 100 percent first-year deduction, or even—as the Commonwealth did for a little over a year from late 2011 through 2012—fully conform to the federal policy of full expensing. While this would involve a greater loss of revenue in the first year implemented, the cost of the provision is just front-loaded and evens out over time. Additionally, adopting full expensing also represents one of the most pro-growth policies available and would serve as a welcome counterpoint to a high 9.99 percent corporate net income tax rate paired with the country’s stingiest treatment of net operating losses. Doing nothing, by contrast, means acquiescing not only to an unlegislated tax increase, but to a uniquely anti-investment policy never intended by the legislature. With the promulgation of the December 2017 tax bulletin, Pennsylvania became the only state in the nation without any provision for deducting the cost of capital investment either immediately or over its productive life. This policy dramatically increases the cost of investment for companies that do business in Pennsylvania. Although it was promulgated as a matter of interpretation, applying an existing statute to changes wrought by the new federal tax law, fully disallowing the depreciation of machinery and equipment is a sweeping change to be adopted through a departmental bulletin. The policy has the potential to make Pennsylvania corporate taxable income significantly higher than federal taxable income, and will require taxpayers to track both Pennsylvania and federal basis for property placed into service after September 27, 2017. Lawmakers in Pennsylvania never intended to disallow the deduction for capital investment. It has arisen due to a disputed interpretation of vague statutory language which failed to anticipate the potential for full expensing. The Pennsylvania General Assembly need not accede to a policy it never intended, and should instead act to keep the state’s tax code from becoming less competitive at the same time that other states and the federal government are laboring to make their tax codes more attractive for economic expansion. The new federal tax law changes the incentive structure of U.S. taxation, encouraging greater domestic investment. Failure to reverse this newly adverse treatment of capital investment makes it considerably less likely that this increased economic activity will take place in Pennsylvania. Pennsylvania Department of Revenue, “Corporation Tax Bulletin 2017-02,” Dec. 22, 2017, http://www.revenue.pa.gov/GeneralTaxInformation/TaxLawPoliciesBulletinsNotices/Documents/Tax%20Bulletins/CT/ct_bulletin_2017-02.pdf. See generally, Tax Foundation, “Preliminary Details and Analysis of the Tax Cuts and Jobs Act,” Dec. 18, 2017, https://taxfoundation.org/final-tax-cuts-and-jobs-act-details-analysis/. Department of the Treasury, Internal Revenue Service, “How to Depreciate Property,” Publication 946, 2017, https://www.irs.gov/publications/p946. The policy concerns short-lived capital assets (machinery and equipment), but not land or structures, for which depreciation schedules still apply. GrantThornton.com, “Pennsylvania Disallows Bonus Depreciation on Certain Assets,” Feb. 2, 2018, https://www.grantthornton.com/library/alerts/tax/2018/SALT/P-T/PA-disallows-bonus-depreciation-assets-02-02.aspx. Most assets have some salvage value at the end of their useful life. A piece of machinery purchased for $25,000 and depreciated over five years might have $3,000 in salvage value after five years, in which case the amount subject to cost recovery would be $22,000, not $25,000. MACRS changes from the declining balance to straight-line method when that method provides an equal or greater deduction. Short-lived assets use 200 percent declining balance depreciation converting to straight-line. For other examples, see Pennsylvania Department of Revenue, “Acquisition & Depreciation of 168k Property,” REV-799CT, June 2011, http://www.revenue.pa.gov/FormsandPublications/FormsforBusinesses/CorporationTax/Documents/corptax_168k_example.pdf. This policy lasted from September 2010 to December 2011, before again returning to 50 percent. Pennsylvania Department of Revenue, “Corporation Tax Bulletin 2011-01,” Feb. 24, 2011, http://www.revenue.pa.gov/GeneralTaxInformation/TaxLawPoliciesBulletinsNotices/Documents/Tax%20Bulletins/CT/ct_bulletin_2011-01.pdf. Pa. Gen. Assemb., House Bill 2017, Reg. Sess. 2017-2018. 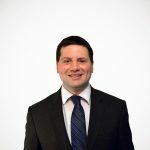 Kyle Pomerleau, “Why Full Expensing Encourages More Investment than a Corporate Rate Cut,” May 3, 2017, https://taxfoundation.org/full-expensing-corporate-rate-investment/. While the Commonwealth offers a 20-year carryforward period, it caps the amount of prior year losses that can be claimed in any given year at 35 percent of current-year tax liability (increasing to 40 percent in 2019). In a state where manufacturing is responsible for more than half a million jobs, and where the fabrication of steel and extraction of natural gas are important pieces of the economic puzzle, this disparate treatment can put major—and in some cases, struggling—employers on an uncompetitive footing. Because Pennsylvania uses a single sales factor apportionment formula, corporations only have corporate net income tax liability in Pennsylvania to the extent that they have sales in the state. Therefore, any policy reducing available deductions falls most on those companies that do a significant amount of business in the Commonwealth rather than selling mostly or entirely out-of-state. Deloitte, “PA DOR Bulletin: Federal 100 Percent Expensing Deduction Disallowed,” External Multistate Tax Alert, Jan. 2, 2018, https://www2.deloitte.com/content/dam/Deloitte/us/Documents/Tax/us-tax-pa-bulletin-re-decoupling-depreciation.pdf.